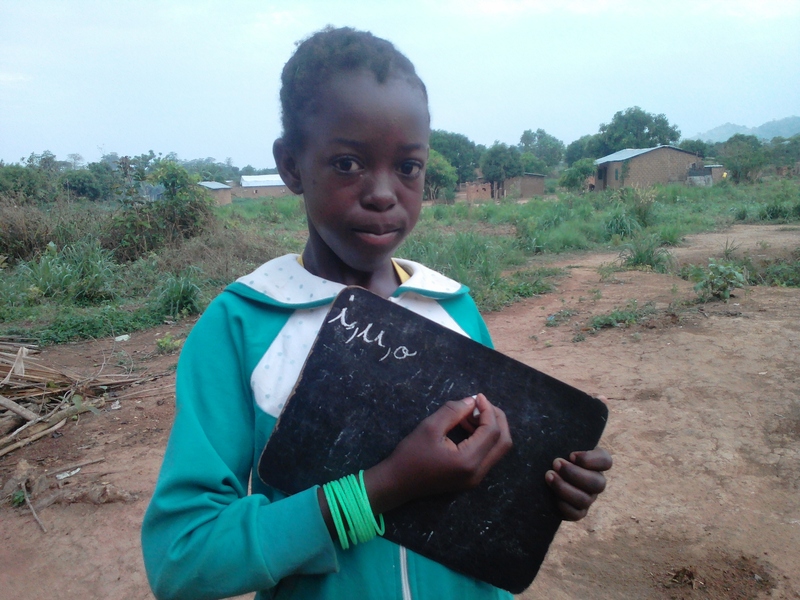 Angelique with the tablet she uses to practice her writing and math lessons. 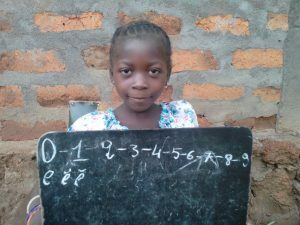 The B2R, intended to reach adults, is providing the only schooling available to children in some of the poorest villages of the Central African Republic. My name is Angelique and I’m 12 years old. I live in a small fishing village in the Zawara area in the Central African Republic. My parents are fishermen and because of their fishing activities, we arrived and settled in this village. We did not go to church because we were animists. We were born and raised in a culture that taught us certain practices that do not honor the great God. When a church was established in our village, our parents forbade us to attend. (Editors’s note: It was established by an OMS church planter.) But soon after, the pastor started a free literacy program and this attracted many children. Without informing my parents I participated in this learning. We were taught to read and memorize the Bible verses, to write them. Count the numbers from zero to nine. To do prayer. The pastor who was training us, encouraged us to take this training to our brothers and sisters and each night to repeat learned verses and prayer in each respective family. I started to train my siblings and my parents could do nothing because it is the only school in the village. In the evening, my brothers and sisters and I began to repeat the verses and prayers at home and in front of our parents. Sometime later, my father and mother who never went to church, began to follow us to church, they gave their lives to Jesus Christ and the pastors baptized them. After their baptisms, they burned their fetishes and practiced no more monthly sacrifices. Our family life has gradually changed. We can now read, write and count little by little. Thank you first to God and then to our Pastor. Simone, Angelique’s little sister, shows off her writing skills.